GET STOKED FOR WINTER STOKE! Calling all local film makers, the Third Annual Winter Stoke Film Festival is on! Submit your 1-3 minute video and win a 2018-19 Season Pass to Sunlight Mountain Resort. Your edit featured on the BIG screen. Anyone can enter. Share your stoke! Troy Hawks, marketing director for Sunlight Mountain Resort, approached Chris Tribble of the True Media Foundation in the fall of 2016. Troy wanted to create a film festival that did two things: Got people “stoked” for the upcoming ski season and featured short videos produced by local rippers. Given True Media Foundation’s speciality in producing media with social impact, they were the perfect partners to help bring the stoke to life. In its inaugural year, Winter Stoke Film Festival featured sold-out events in Glenwood and Carbondale. Seven locally-produced films were featured in front of more than 200 attendees and event organizers knew the stoke was alive. The move was made to make Winter Stoke an annual event. Ultimately we want to make Winter Stoke Film Festival 100% about you, the powder hounds of the Roaring Fork Valley. Help us grow this thing. Share your Winter Stoke! Filmmakers are asked to submit outdoor adventure videos that “get us stoked for winter.” Three finalists are chosen for each Winter Stoke venue, and the audience votes for their favorite film. All finalists will receive two lift tickets to Sunlight and the crowd favorite wins a Sunlight season pass. The evening includes a prize giveaway including a pair of Sunlight’s hand-crafted Sunny 700 skis by Meier. Videos must be less than 3 minutes long. 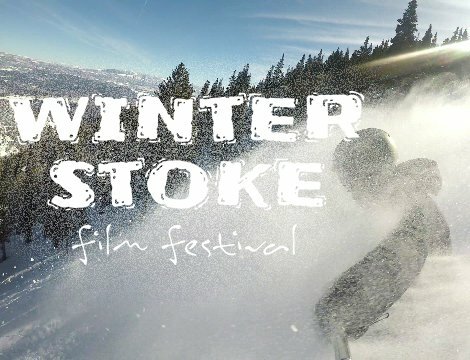 Submit videos by emailing a YouTube link to submit@winterstoke.org. The deadline to enter is Thurs., Nov. 1.